I have always loved sweet potatoes. 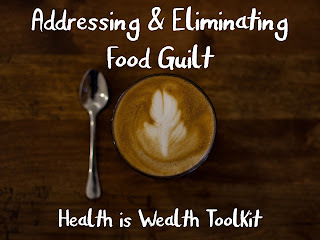 We often try to eat low-FODMAP foods because both my husband and I have happier GI tracts when we do. 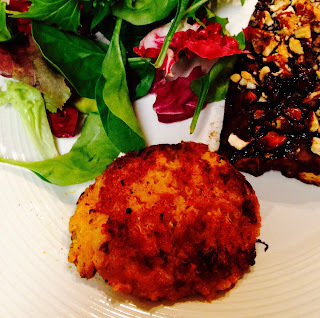 I had some parsnips that I needed to use and thought I would try out some Fodmap Friendly Sweet Potato & Parsnip cakes to accompany my balsamic herb-encrusted salmon and really enjoyed what came together. I know that olive oil has a high smoke point (around 405 degrees F) but on medium heat I was seeing a bit of smoke coming from the oil, so I just turned the heat down a number (from 6 to 5 on my stovetop) and didn't have as much burning the second time around. Sweet potato & parsnip cakes make a great side dish! 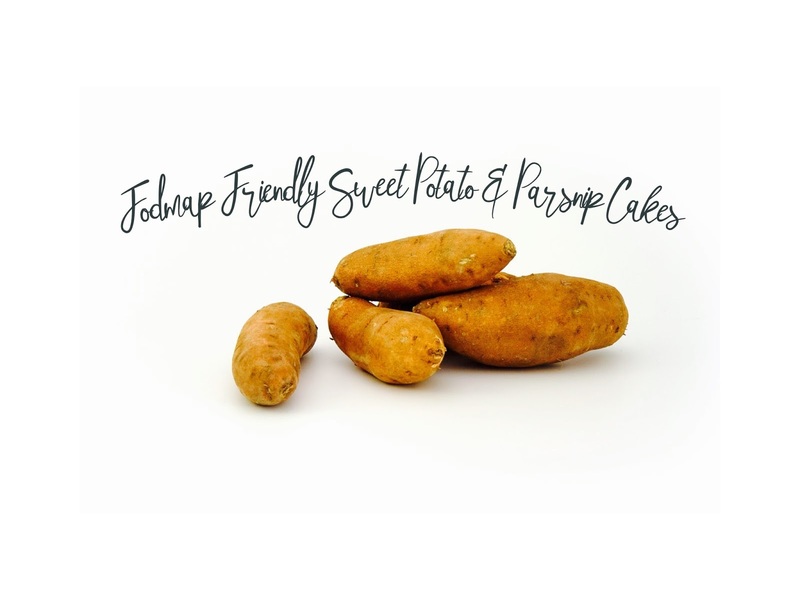 *A hint to making this a great side-dish is to squeeze out the excess fluid after mashing the sweet potatoes. I didn't have a cheesecloth at the house but I imagine that would have worked a lot better than the good ole' wooden spoon mash and drain. After the sweet potatoes have been mashed, drain excess fluid from sweet potatoes. Remove parsnips from pan and mix into mashed sweet potatoes. Add egg, salt, and ground cinnamon to the sweet potato & parsnip mixture and stir. 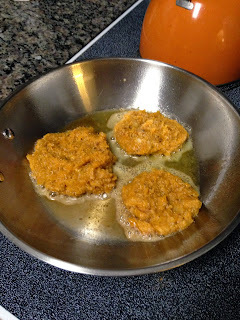 Heat up remaining olive oil on medium heat and place 1/2 cup of sweet potato & parsnip mixture into pan. You can fit 3-4 cakes per pan, depending on the size. Dry excess oil off of cakes after cooking on a paper towel & ENJOY! Cook your sweet potato cakes in olive oil for 3 1/2 minutes on each side.